What is your most preferable ways to kill your leisure time? For many people, spending several hours on a classic movie will be their first choice. Today I will put my emphasis on a famous director and some of his best movies. That is Quentin Tarantino. Nowadays, due to the conveniences of the Internet, you can be accessible to Quentin Tarantino’s movies in an easy way. However, do you have a clear understanding about Quentin Tarantino and his movies? Today, it is your day. Next I will introduce more information about Quentin Tarantino and his best movies. Part 1: What is Quentin Tarantino’s style? Born on March 27, 1963 in Knoxville, Tennessee, Quentin Tarantino is a famous American director, producer, actor and screenwriter. Quentin Tarantino’s films are mostly characterized by satirical subjects, violence, crime as well as the dramas and actions. Quentin Tarantino has been known as the most famous and distinctive director in the early 90s. His career started in the late 1980s. Before entering the movie industry, Quentin Tarantino is only a video clerk worked for Video Archives in Manhattan Beach. However, his diligence led him to grasp a lot of knowledge about pop culture and independent art house cinema which paved the way for his unique understanding about the movies in the future. Then, he began to take some small roles in the movie which gradually led him to the movie industry. At the same time, he always kept writing all kinds of screenplays. Then in the early 1990s, the breakthrough in his life came. In 1992, he completed his independent film Reservoir Dogs which has been awarded as “Greatest Independent Film of All Time”. Following, black comedy movie Pulp Fiction and ventures movie Jackie Brown both took Quentin Tarantino to a higher stage in the movie industry. In the following years, Quentin Tarantino has written and directed many movies. In 1994, he acted as the producer of Killing Zoe. Then in the later 2000s, he has already won his title for nearly 15 years. In 2003, another popular Wuxia-oriented movie Killing Bill (Volume 1 in 2013, Volume 2 in 2014) has won a lot of praises since its release. This movie has started a new tradition in genres of movie. After about ten years, Django Unchained, a film about the revenge of a former slave in the U.S. South in 1858 has been released in the public which has earned $425.4 million worldwide and won him another Academy Award for Best Original Screenplay. 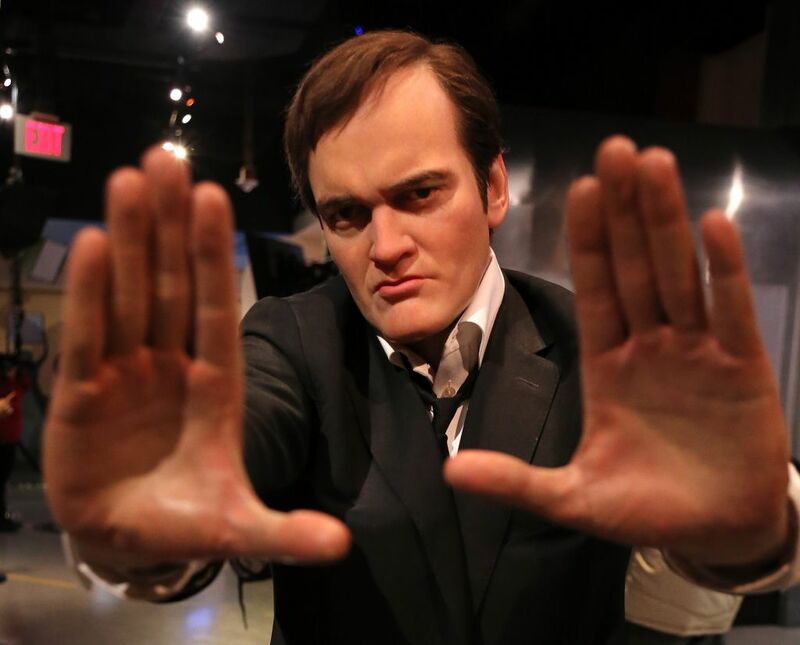 In total, Quentin Tarantino’s films have won many awards, such as two Academy Awards, two BAFTA Awards, two Golden Globe Awards and Quentin Tarantino has received his award on the Hollywood Walk of Fame which is set to thanks for his contribution to the film industry. From his first movie Golden Girls, to Reservoir Dog, Killing Bill and Django Unchained, you can be easily shocked and attracted by the enthusiasm and fierce showed in these movies. So, if you are asked what Quentin Tarantino’s style is, what would you answer? Generally speaking, you can use following words to describe his movie works: humor, reality, violence, dialogues and highly stylized. In Tarantino’s movies, he can describe a very plain scene with very interesting dialogues which can definitely attract audiences’ attention. Then from the dialogues between the characters, it can be easily found that the words they were using are quite related to reality and also quite humorous. 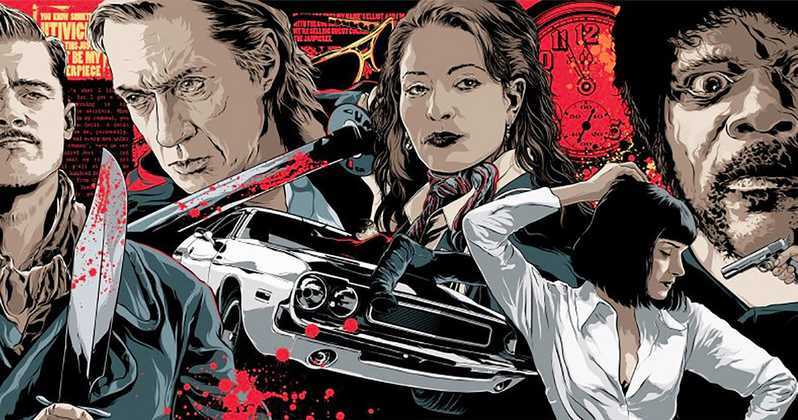 Asides from the basic dialogues, one thing you can easily recall about Quentin Tarantino’s film may be violence or highly stylized characters. The fierce action and violence scenes are commonly seen in his movies and nearly each character in his movie are very attractive and easily remembered, such as Mr. White, Vincent Vega or Butch. After watching his movies, you can find a lot of commons in your own daily life. For some of Quentin Tarantino fans, if they are required to make a best Quentin Tarantino movies list, I believe they would list every piece of Quentin Tarantino’s movies because they are really interesting and classic. Since Quentin Tarantino has achieved such huge performances in the movie industry, then do you know the best Quentin Tarantino movies? If you are also looking for the Quentin Tarantino best movies list, then you must stop here because I will give you a recommendation on the Quentin Tarantino movies list concerning the best 5 movies. If you like these movies, you can buy DVD or Blu-ray discs, or you can download them from some free Blu-ray download sites. Now let’s get started! As the representative of violent movies, Kill Bill must be ranked in the top one on my list of best Quentin Tarantino movies. As the forth movie directed by Quentin Tarantino, Kill Bill was once prepared to compressed into one piece. But later it was split into two volumes due to the too long duration which has reached 4 hours nearly. As a long action movie, Kill Bill may be very boring if you only watch the first part of the movie. But if you can keep watching, then you can find the story development, the action scenes and the characters are all entertaining and cool. This story describes a story about a villain Bill which gives steady pictures and rich emotions. Besides, this movie has combined Hong Kong Kong Fu and Japan Bushido and has been presented with huge violence. Until now it is still named as the representative of “violence aesthetics”. For many fans, they are still waiting for the volume 3 of Kill Bill. Some people have estimated that the third volume may be released in 2014. But later Quentin Tarantino declared that he would no longer release the third volume. But who knows? Maybe it is coming. 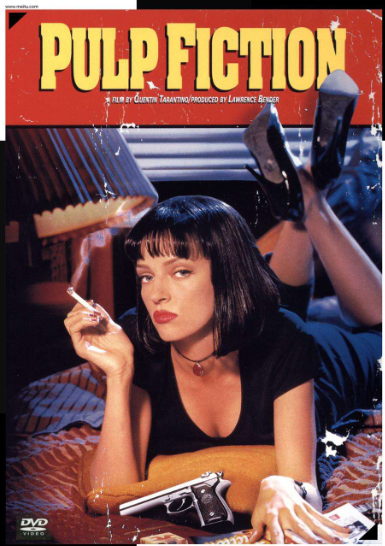 As one of the earliest movie for Quentin Tarantino, Pulp Fiction must be listed here because it exactly depicted a wonder story about loyalty, redemption and sympathy. Pulp Fiction was released in 1994 directed and written by Quentin Tarantino. As an American black humor crime movie, Pulp Fiction has been characterized with humor and violence. In this movie, you can find a lot of “dirty words” and humor which has been presented by nonlinear narration. What’s more, some parts of the movie has adopted popular culture at that time. The plain story and the long but classic play screens have left us a deep impression. You can still retain the excitement about this movie after long conversation among the characters. This movie has been nominated as the best movie at the Oscars for many times. Furthermore, due to its construction type, it has been regarded as the model of post-modern movie. 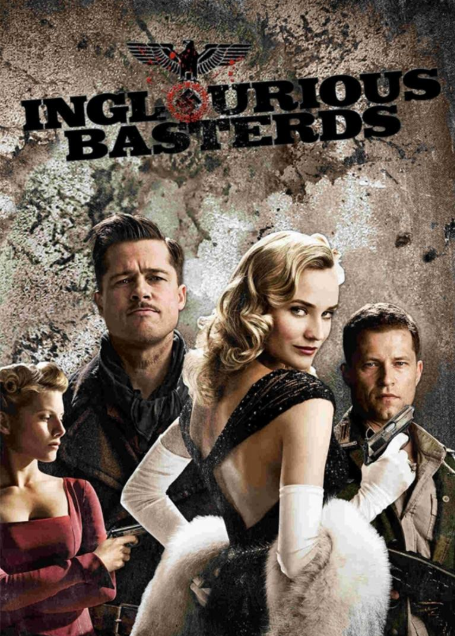 Another one movie I must add to the Quentin Tarantino best movies list is Inglorious Basters. With the most attractive opening scene, this movie has left impression on audiences. Inglorious Basters is a war film produced by America and Germany. This movie mainly depicts two plans to assassinate the Nazi officers. This movie’s screenplay has been started since 1998 by Quentin Tarantino, but it has been delayed for a period of time due to some difficulties. Later, it was funded with 75 million dollars to be started in Germany and France. Finally it was released in the 62nd Cannes Film Festival on May 20, 2009. In this movie, you can also find more scenes depicting love and sympathy which is both a revenge fantasy and a good tale. Also, it has won a big success in the market which has earned 320 million dollars. If you are interested in the movies related to crime and wars, then Inglorious Basters will be the one you should not miss. It deserves your time. 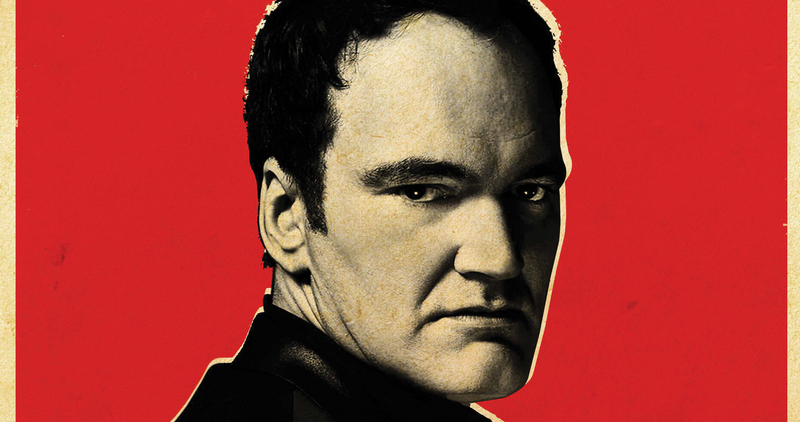 In 2012, one of the most polarizing movies for Quentin Tarantino has been released. It also should be counted on the Quentin Tarantino best movies list. That is Django Unchained. 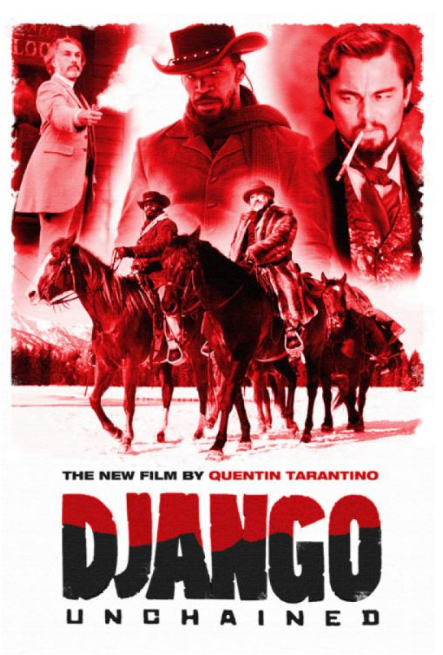 Django Unchained is a kind of American western movies that was released in 2012. It has also been directed and written by Quentin Tarantino. In this movie, you can find the Quentin Tarantino style super writing easily. The character Django is designed to be very dull and stale which presents to be very “Hollywood”. The story happened in Texas and mainly depicted a journey about an Asian slave who has pretended a dentist. This movie has won the biggest success through all Quentin Tarantino’s movies and its worldwide box office has reached 425 billion dollars. Of course, it has been nominated for many awards. And Quentin Tarantino has won the best original screenplay at the Oscars by this movie. Without doubts, Quentin Tarantino’s position in the movie industry has been raised to a great extent. Last of the best Quentin Tarantino movies I will introduce is Reservoir Dogs. When you are talking about Quentin Tarantino, Reservoir Dogs should be the one that you have to mention about. As the first written and directed movie by Quentin Tarantino, Reservoir Dogs contains brilliant dialogues. Reservoir Dogs falls to the category of American crime and horror movie. Once it has been regarded the most entertainment movie at that time. When it was firstly released in America, the box office was not very good enough. Later it has gained another success when it war released in UK. Furthermore, Reservoir Dogs has been popular among the public since the DVD discs have been produced and spread into people’s daily life. To some extent, you can say that Reservoir Dogs has paved the way for Quentin Tarantino’s success in the future. From the overview of the movie, you can find that some differences between it and other works later directed by Quentin Tarantino. 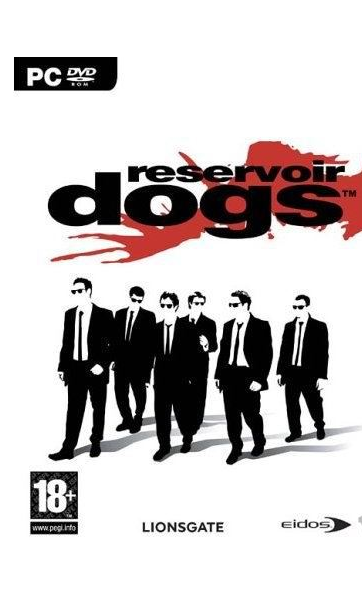 Reservoir Dogs is deemed to be very powerful as well as funny and tense which is also full of violence and fun. Asides from the best Quentin Tarantino movies I just introduced, you can also be accessible to other movies on the Internet easily. Due to the conveniences Internet has brought, you can just log into some movie websites and download to your computer for watching. Here I suggest you to download instead of online watching. After downloading from the Internet, then you should prepare a powerful movie media player so as to provide the best audio and video quality of the movies. Among the various media players, I will strongly recommend Leawo Blu-ray Player as your firm choice. As a 100% free and 6-in-1 media player software, Leawo Blu-ray Player contains all media playback solutions you need for your leisure entertainment, including Blu-ray, DVD, CD, HD (4K), ISO file with AVI, MPEG, WMV, ASF, FLV, MKV/MKA and other popular formats supported. With advanced image and audio processing technology, Leawo Free Blu-ray Player software could provide you quality-lossless image for even 4K video, stereo audio enjoyment, all regions free DVD decryption and user-oriented playback control. 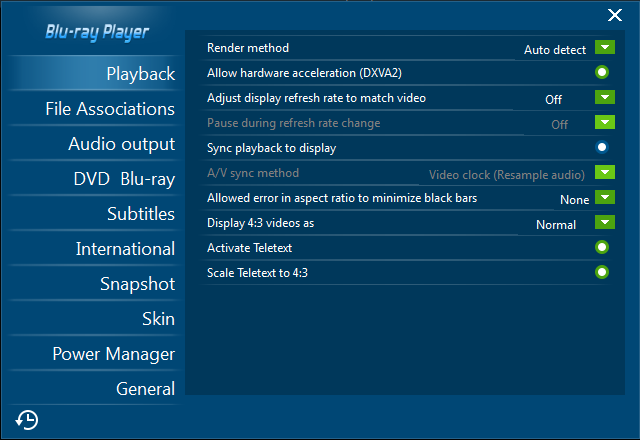 Besides, Leawo Blu-ray Player’s practical bonus features including useful power manager, custom skin / language / background, snap screenshots, especially virtual remote controller make it a better choice for all playback choice. Furthermore, within Leawo Blu-ray Player, you could obtain the personalized settings according to your preference and all the settings could be done automatically. Just take a try. You can enjoy the best quality of the action and violence effect within the best Quentin Tarantino movies. It is quite easy to take use of this media player. For the details, you can refer to the following. Step 1. 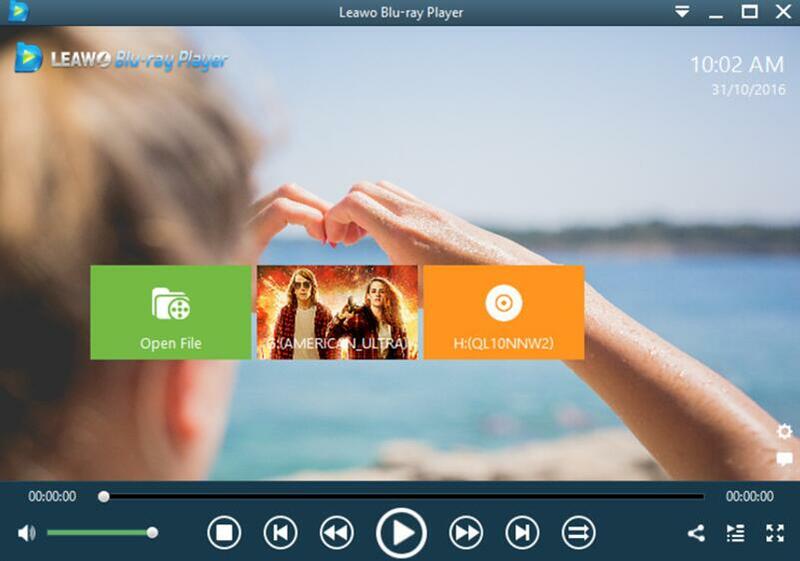 Download Leawo Blu-ray Player and install it on your computer. Step 2. Enter the main interface and load the Quentin Tarantino movies on the computer by clicking the “Open File” button on the home interface. When you have imported the movie, then you can see it on the playlist. Step 3. Set more parameters. If you want to obtain a more personalized watching experience, you can have more player settings. You only need to click on the drop-down menu panel on the top right which includes Playback, File Associations, Audio Output, DVD Blu-ray etc.